The UAE logistics market is expected to grow at a compound annual growth rate (CAGR) of 5.7 per cent between 2015 and 2020, a Frost & Sullivan report said. It said the national logistics industry will likely grow by 4 per cent in 2016 mainly driven by capacity expansion and infrastructure investment which will strengthen the competitiveness of Logistics Service Providers (LSP). The report identified the development of export-oriented industrial centres and free-zones as likely to support both transshipment and regional trade growth. It noted that transportation infrastructure development and new technology solutions will strengthen the infrastructure required for multi-modal transportation. It further noted that airport expansions and the GCC rail network will strengthen alternate modes for freight and cargo transportation and that integration of logistics functions and harmonisation of GCC customs regulations will lead to a synchronised, co-ordinated, and interconnected regional logistics network. Furthermore, it predicted that the lifting of sanctions against Iran will increase trade activities in the Middle East and increase demand for logistics services. “The UAE needs to further its leadership position in logistics transformation, by leveraging technology to enhance infrastructure and process efficiency. We need to evolve into a supply chain nerve centre, beyond being just a logistics hub,” said Gopal R, global vice president, supply chain and logistics transformation practice, Frost & Sullivan. The transportation and logistics segment accounted for around $29.8 billion in the UAE’s GDP in 2015. Dubai leads the transportation and logistics market in the UAE with around 45 per cent share, followed by Abu Dhabi, said the report. 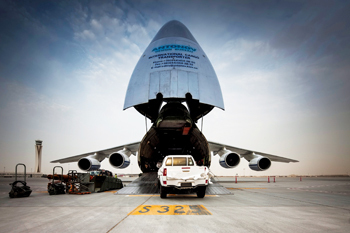 The logistics industry constitutes more than 14 per cent of Dubai’s GDP, the highest amongst all emirates. 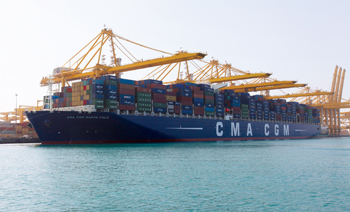 Sea transport accounted for more than 90 per cent of all freight in the UAE and is likely to grow by 4 per cent in 2016, driven by demand from Asia, Europe, and Africa. Road freight in Dubai is higher compared to the other emirates due to its diversified industrial base. Air freight is likely to grow at 6.5 per cent in 2016, the key cargo contributors being precious metals, electronics, and pharmaceuticals.